Sometimes you just have to love yourself. Sometimes you get noticed. These two thoughts are what this week’s video (and blog post) have to deal with. 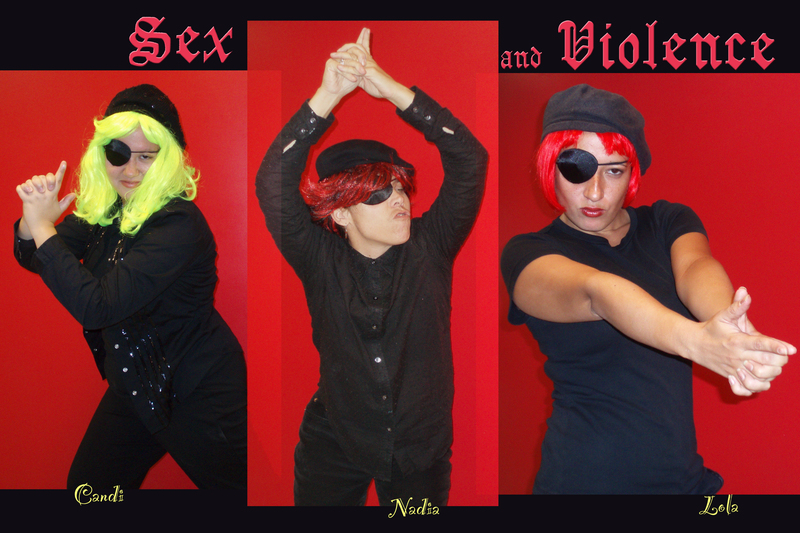 Our “code” names for the show are Candi (me), Nadia (Martha), and Lola (Janet). The opening was Tuesday night and it was awesome (wish you could have been there). I tried to post a slide show of pictures from the opening but wordpress didn’t allow it, so go check out my MySpace page where it’s all decked out for our show. So that’s the end of the loving and promoting myself part. So I was going to explain why I put this video up but I realized that it’s way to easy to get to this blog with just looking up Montclair or MFA (from previous posts… and now this one will be added since I used both terms here) I’ll just leave it up to your imagination of why I decided to put this song up… hope you enjoy.